Steve McIntosh J.D. is a leader in the integral philosophy movement and author of the acclaimed books: The Presence of the Infinite—The Spiritual Experience of Beauty, Truth, & Goodness (Quest 2015), Evolution’s Purpose—An Integral Interpretation of the Scientific Story of Our Origins (SelectBooks 2012), and Integral Consciousness and the Future of Evolution—How the Integral Worldview Is Transforming Politics, Culture and Spirituality (Paragon House 2007). 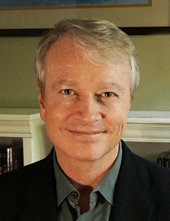 In addition to his work in integral philosophy and politics, McIntosh has had a variety of other successful careers, including founding the consumer products company Now & Zen, practicing law with one of America’s largest firms, working as an executive with Celestial Seasonings Tea Company, and Olympic-class bicycle racing. He is an honors graduate of the University of Virginia Law School and the University of Southern California Business School, and now lives in Boulder, Colorado with his wife and two sons.